Thank you ALL very much to everyone that entered, if we could give you all one we would. Congratulations Sue – the winner of the Christmas Giveaway. 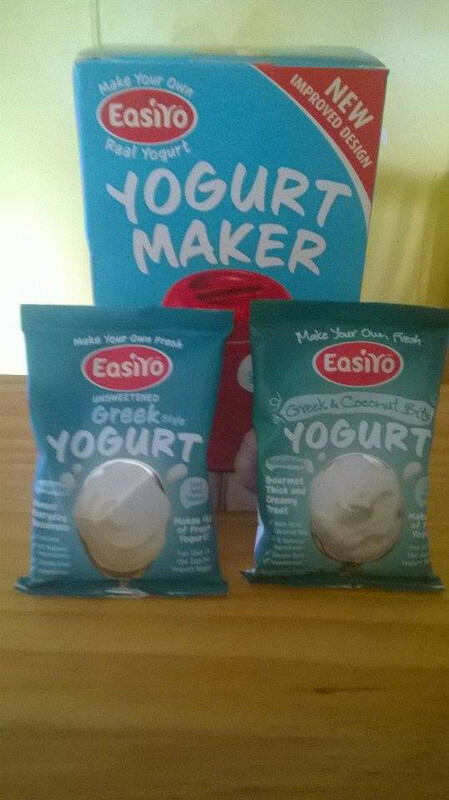 Your chance to win an EasiYo yoghurt starter kit has never been easier. Thanks to the generosity of EasiYo the Roaming Rowes are giving all of their followers a chance to win a Yoghurt Maker Starter Kit and experience the convenience and tasty health benefits of making your own yoghurt. We first mentioned how much we loved and used our EasiYo while travelling this great country Australia in our post Fed Up On the Road! Someone Will Win This – It Could be You! The New and Improved Red Yoghurt Maker (crikey even we still have the old school white one). The Roaming Rowes love yoghurt but on the road you don’t always have space or the convenience to just go buy some. Before we left we knew we wanted to give this product a go, we loved it – so versatile, so healthy, so easy. We cut out the middle man and went straight to the source at the Easi-Yo page as we were buying in bulk it was cheaper for us, and we do love a good BARGAIN! as many of you know. Tag a Friend in the comments here. Share the post to your page and comment shared and you will get 2 chances in the draw. If you are wondering how it works this clip will show the steps in about 40 seconds.